An Official licensed Seven Dwarves Happy Mask including a full face mask – Ideal for a Disney theme, a TV & Film theme, or any fancy dress occasion! Transform yourself with this fantastic Seven Dwarves Happy Mask and get ready to Heigh-Ho to the party! This official licensed Seven Dwarves Happy Mask comes complete including a full face Foam Mask and an attached fabric Hat. 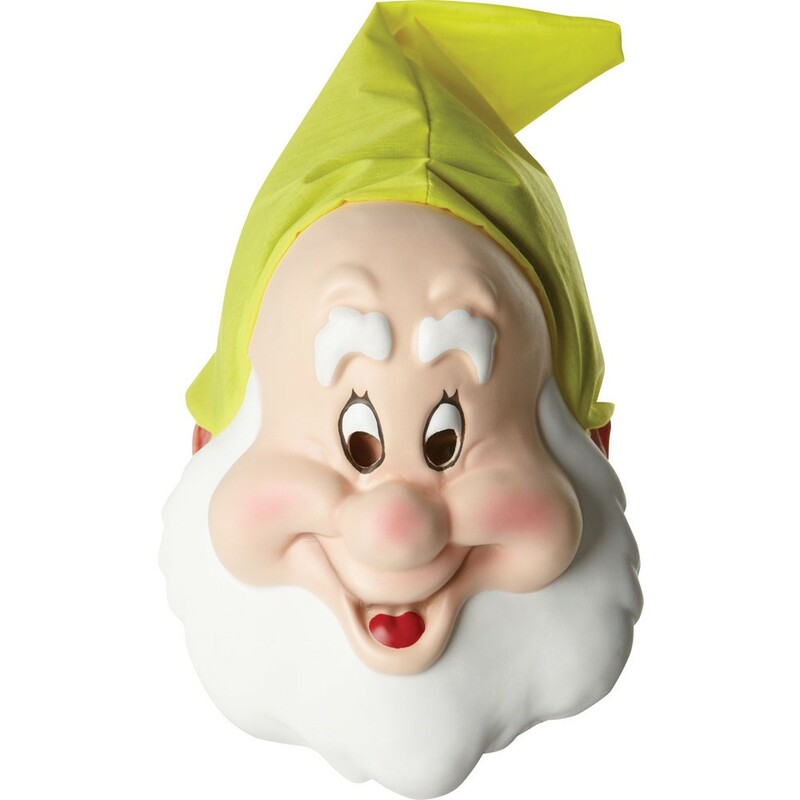 This light foam Mask features a Happy character design, with an attached yellow fabric Hat. The Mask features two eyeholes, and will be sure to bring the fun to any occasion, as you are the bubbliest of them all! Perfect for a Disney theme, a TV & Film theme, a Fairy Tale theme, or any fancy dress occasion, this Seven Dwarves Happy Mask will be sure to add a to impress no matter what the occasion! So set off to the party in style with this brilliant Seven Dwarves Happy Mask. An official licensed Seven Dwarves Happy Mask.